The Brown snake caused 23 of the 35 deaths recorded between 2000 and 2016. The first new report in a quarter of a century on death by snake bite in Australia has revealed most victims are male, bitten in the warmer months of the year, more than half of the bites occurring in or near home. 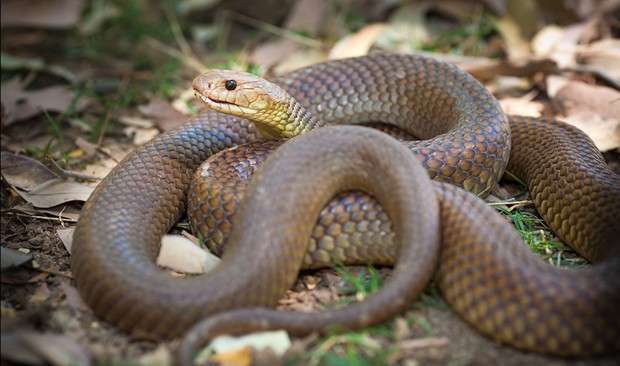 And the villain is the Brown snake, causing 23 of the 35 deaths recorded between 2000 and 2016 by the National Coronial Information Service (NCIS). Public health expert at the Australian Venom Research Unit (AVRU) at the University of Melbourne, Dr Ronelle Welton led the study, published in the Internal Medicine Journal. It shows that mortality rates, while low, have remained steady for over 30 years. Collapse and cardiac arrest were common, despite improved access to health care and contemporary clinical research. Dr Welton said the review challenged widely held assumptions. "While the perception remains that snake bite incidents occur in rural areas, we found that nearly half the incidents occurred in an urban environment," Dr Welton said. Most incidents occurred in warmer seasons when snakes were more active. Most bites occurred on limbs, and up to seven people (one fifth of fatal victims) were reported to have been bitten while trying to pick up snakes. Dr Welton said the report contained important take-home messages, particularlry regarding the impact of Brown snakes moving into areas usually occupied by other species, such as Tiger snakes. "People should not attempt to pick up snakes, and need to be encouraged to practice appropriate first aid and know CPR," Dr Welton said. "This information will help inform us about what educational information is needed, particularly in our urban towns and cities." The AVRU is working with antivenom producer Seqirus to update a smartphone app. The Australian Bites and Stings App is available for both android and apple smartphones.